Hey, Dreamers! Today, I've found several companies with open work-from-home opportunities. If you are interested in any of the jobs below, get your resume ready and apply today. This major company is looking for Home-Based Customer Service Reps. The position involves taking phone calls, assisting customers with accounts and product services. The ideal candidate must have a high-school diploma, excellent communication skills, the ability to multitask, and more. Starting pay is $9.00/hr. Click here to apply for the position. This company is currently seeking Part-Time Customer Care Reps. The position involves working in the HomeAdvisor program by taking customer service calls, scheduling appointments, upselling services, and more. The ideal candidate must have a high school diploma, at least one year of customer service experience, excellent communication skills, and a quiet workspace. Multiple shifts are available. Starting pay is $18 per hour. Schedule: Part-time reps can choose from a variety of shifts ( work up to 29 hours weekly). Applicants must reside in the following states: Arizona, Colorado, Florida, Georgia, Illinois, Indiana, Maryland, Nevada, New Jersey, New York, Ohio, Texas, Utah, and Virginia. 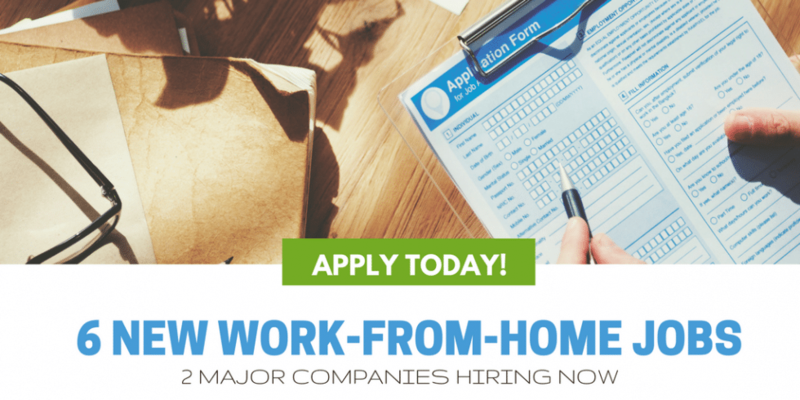 This company is hiring Part-Time Customer Service Specialists to work from home. The position involves taking technical support calls while helping clients with the LearnDash WordPress plugin. All applicants are required to reside in North America. This well-known company is currently looking for Full-Time Customer Care Reps. This is a 100% work from home position that involves taking inbound calls. The ideal candidate must have a high school diploma, excellent communication skills, knowledge of basic computer programs, and reside in the Nashville or Tennessee area. Unum is currently seeking Remote Customer Service Specialists. The position involves taking inbound calls to help with customer issues. All applicants must have high-speed internet, a dedicated office space, and a bachelor's degree. Schedule: The company has a variety of shifts available between 8 a.m. to 8 p.m (EST) during the weekdays. The job listing does not specify the pay rate. We have contacted the company and will update this post when we hear back. This company is currently hiring Remote Transcriptionists.The is is a work-from-home typing job that requires you to be great at meeting deadlines. Payments are weekly via Paypal. There is no information regarding the pay and location. Feel free to apply even if you are located outside the U.S.